One of the biggest hassles of putting up a new room is that you have to knock down walls and you have to put up a new extension using a concrete or wood, it can take a lot of time. Moreover, it takes a lot of skill. Skilled laborer is very expensive. You can do away with all those headaches by putting up a room addition, using a prefabricated steel building kit. These kits are so easy to work with. You or somebody with a very low level carpentry skills can easily install a prefabricated steel building kit just by looking at the instructions. Remember, these types of buildings are structures that you assemble. You don’t build them in the traditional sense. There are many garage kits available in the market. These made out garage kits are easy to put up together. In fact, you are not really building a new structure, you’re just assembling a building. This the big difference. Not only does it impact the overall cost of your project, but it also impacts the time. 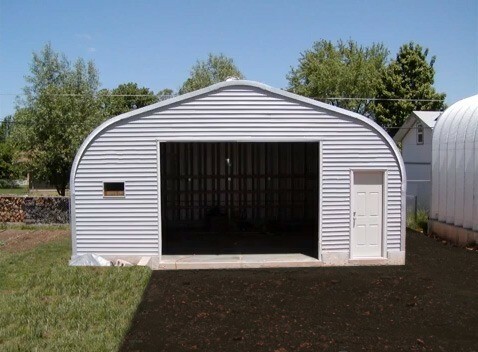 When you’re in a rush to put up a garage, you can do so with a prefabricated steel building kit. House extensions require that you tear down a wall or replace a window. However, the most expensive way to go about it is to do it the traditional way. This means hiring an architect and a skilled carpenters and masons. Doing so costs a lot of money. In fact your biggest cost is not the materials that you will be spending, but the actual labor that is needed. If you use prefabricated steel building on the other hand, you can do away with your skill labor cost because these are very easy to install. You can build the extension very quickly and cheaply. I live in Tennessee USA and an acquaintance said they bought one of your buildings and had it shipped to Tennesse. If this is possible I would like to get pricing on a 900 square foot building with one great room, a see-through gas burning fireplace in the middle of the great room, a large walk-in closet and a bathroom. By the way, we Americans love our Canadian friends and hate our Yellow president.